This is far from the first time we’ve seen the Wienermobile on the track, and not even the first time at the Circuit of The Americas. And yet it’s always a good time. No one’s wearing a helmet inside, which tells you that they weren’t exactly pushing it. They did get up to the high 50s, or half the speed Al Unser once pushed a Wienermobile to at Indy. 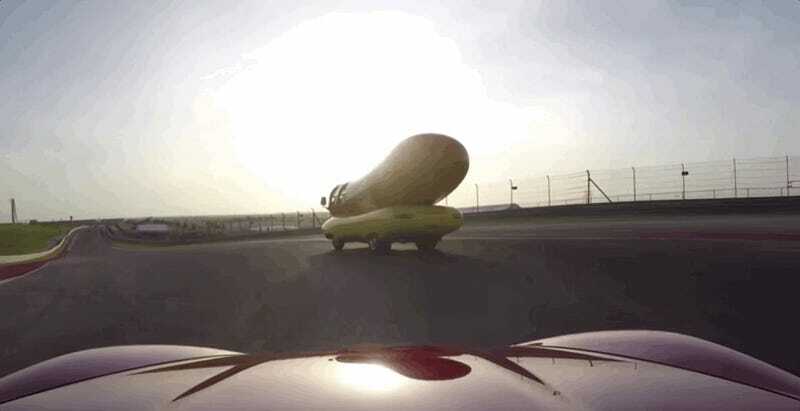 Wienermobiles were meant to be driven, goddammit.